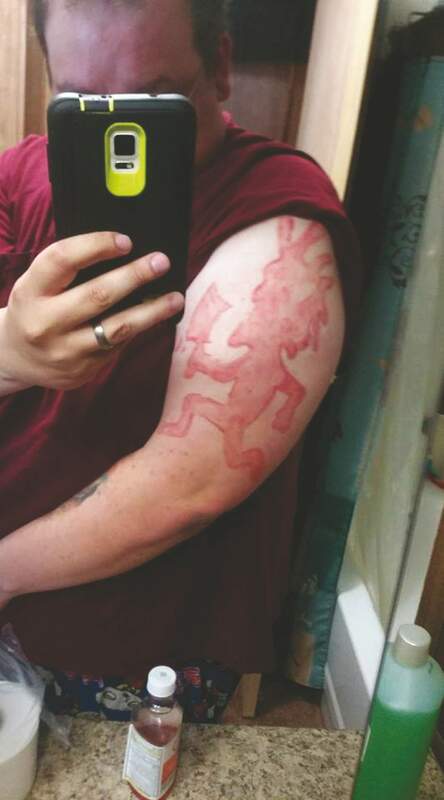 Beau Duran mistakenly got an ICP tattoo in a friend's garage that got infected. 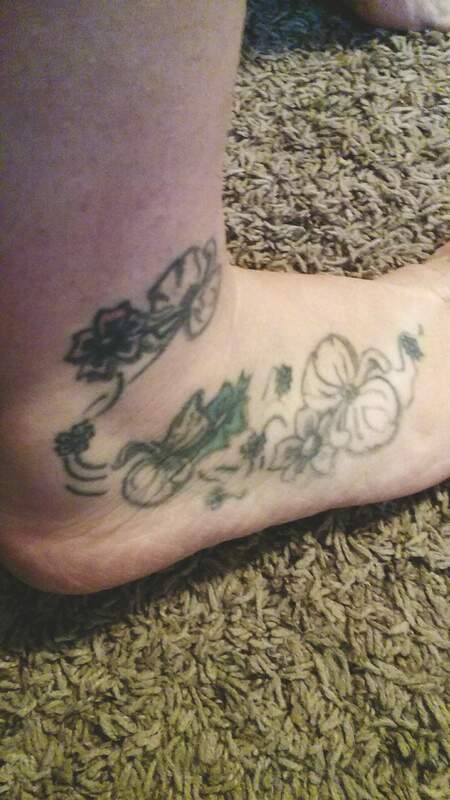 Crystal Robson’s flower foot tattoo –she won’t wear sandals because of it. You voted, readers, and we heard you loud and clear. After four weeks of bad tattoo submissions, we are excited to announce the two winners who are finally finding redemption after some really bad tattoo experiences. There were a lot of horrible submissions and in all seriousness, we’re sad we can’t help everyone out. But we are excited to help these two deserving winners out, one with a badass cover-up by Robert Smith over at Black Mountain Tattoo and the other, a free consultation and two free laser removal sessions with Durango Dermatology. So congrats to these two, and as for the rest of you, better luck next time.